The 17th is a tricky and long par 4 with a constant slope from left to right. 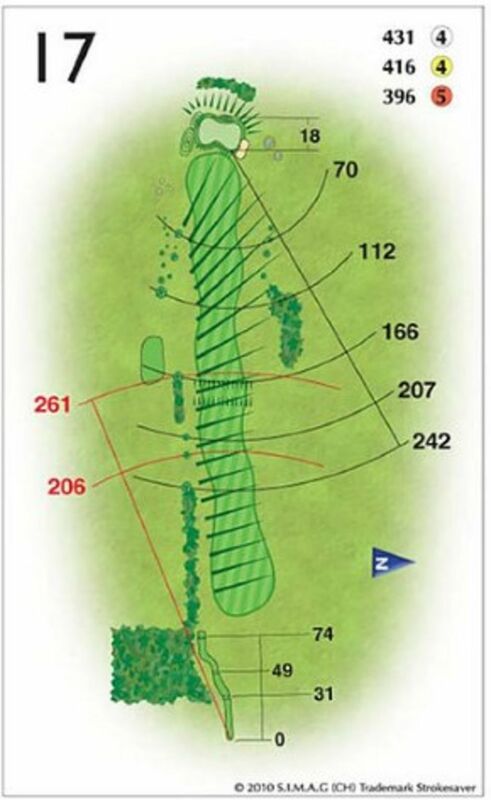 A long drive is no guarantee of success, as you will still be playing off the slope and probably from the rougher right hand side of the hole. A par here is no mean result.